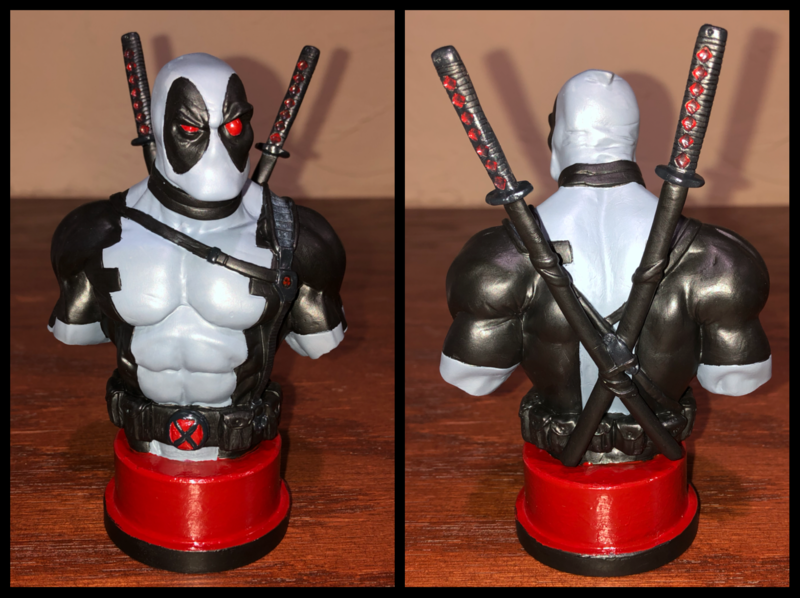 I purchased a damaged (back guns broken) Bowen Deadpool bust for $10 so I thought I would try my hand at an X-Force repaint. 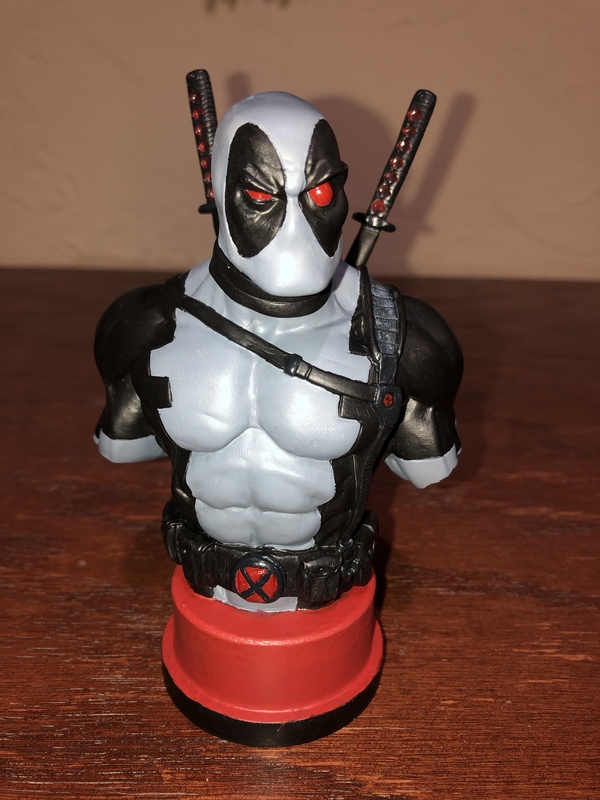 I made the X-Force belt buckle and filled in the holes left by the gun mounting pins with Green Stuff. I think it turned out pretty good. I’m not 100% on the red base. Thoughts? 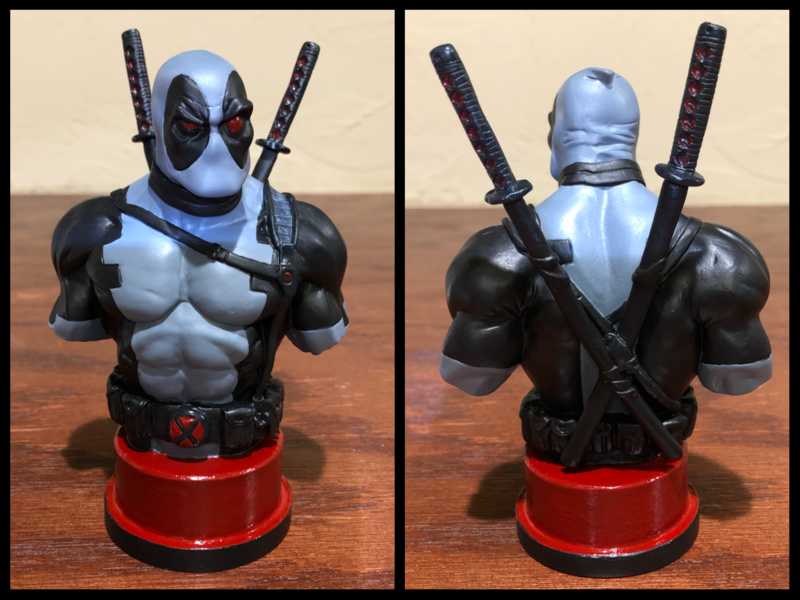 I agree the red base feels a little off, but I don't know what I'd suggest as an alternative. I feel like it’s just too shiny. I think I’m going to repaint it with a flat red. Flat red base. I like it better.